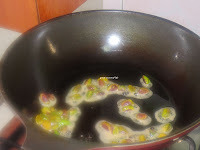 Heat another teaspoon of ghee and fry nuts till it is light brown in color and keep it aside. 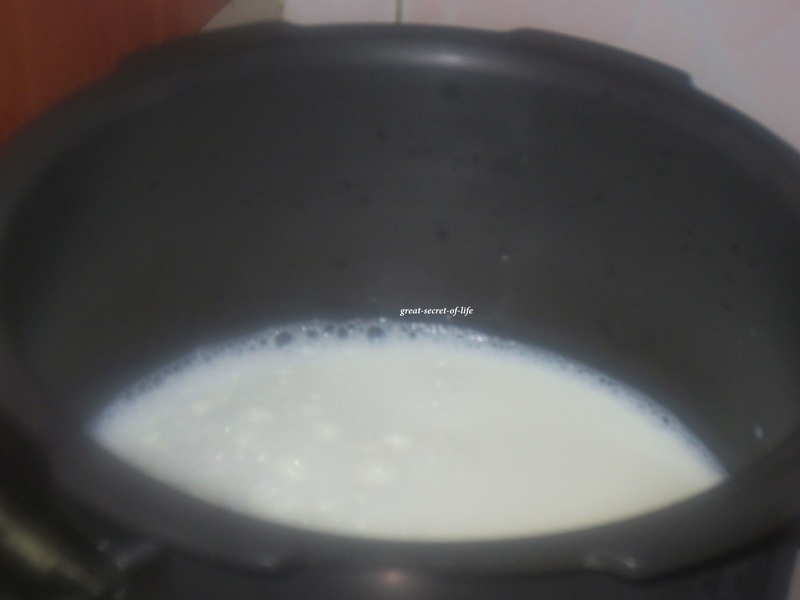 Heat the milk in a pressure pan or heavy bottom vessel. 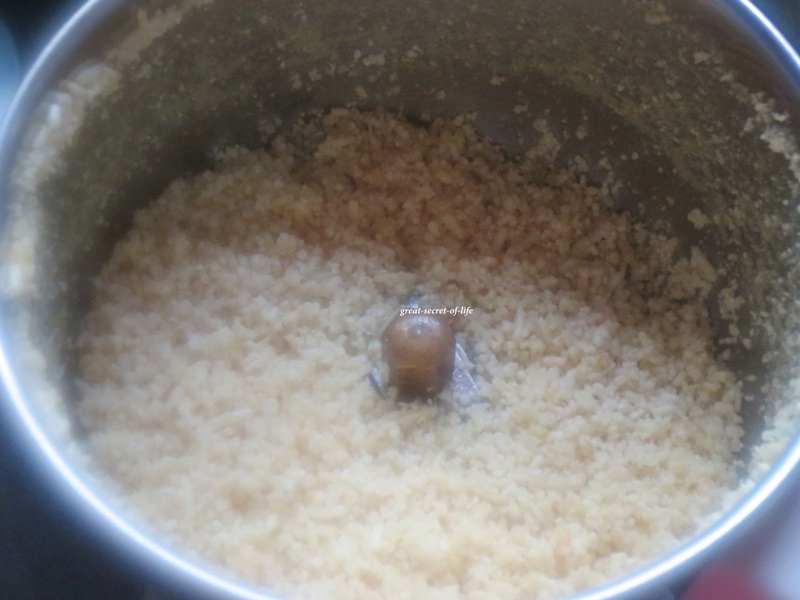 Grease it with rest of ghee. 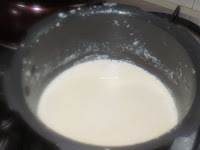 Add milk and let the milk boil. Put a clean spoon into it to avoid milk leaking while cooking or getting burnt. 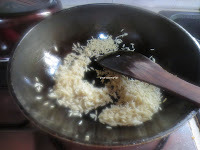 Add the rice rawa and pressure cook it till 3 whistle. When it cool down open the lid and add Sugar and mix well. Simmer the kheer till desired consistency. Something new because I have never seen rice for pal payasam. But its really interesting to find out new styles of desserts and this is like one I will love so much. 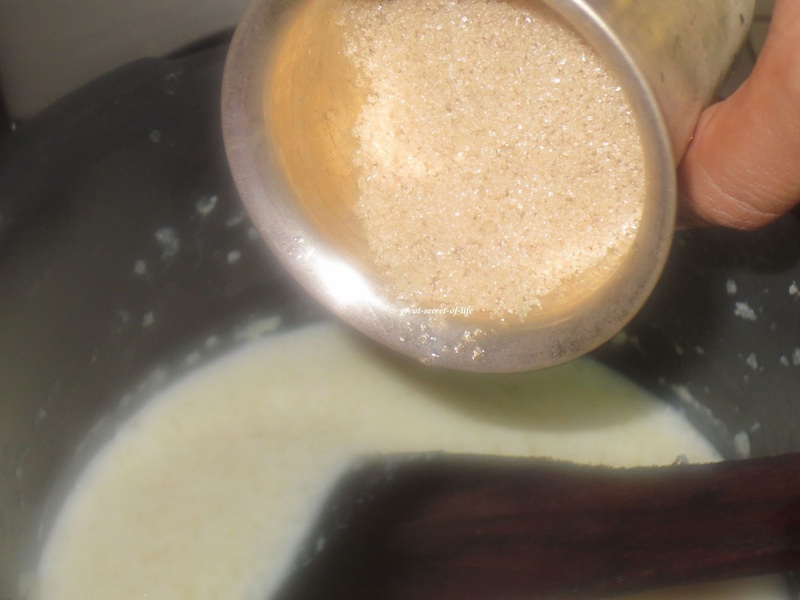 Though I am not big on desserts, I like to close my meals with a small amount of such a delish sweetened fragrant dessert. 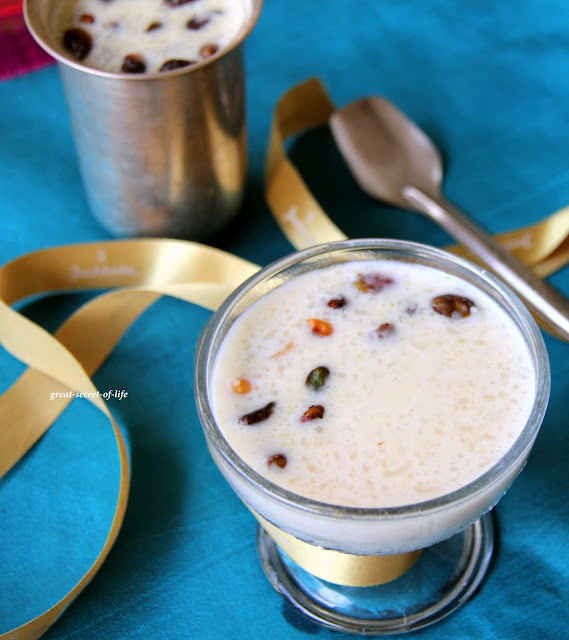 Hmmmmmmmmmmmm I am drooling.My favourite yummy pal payasam. 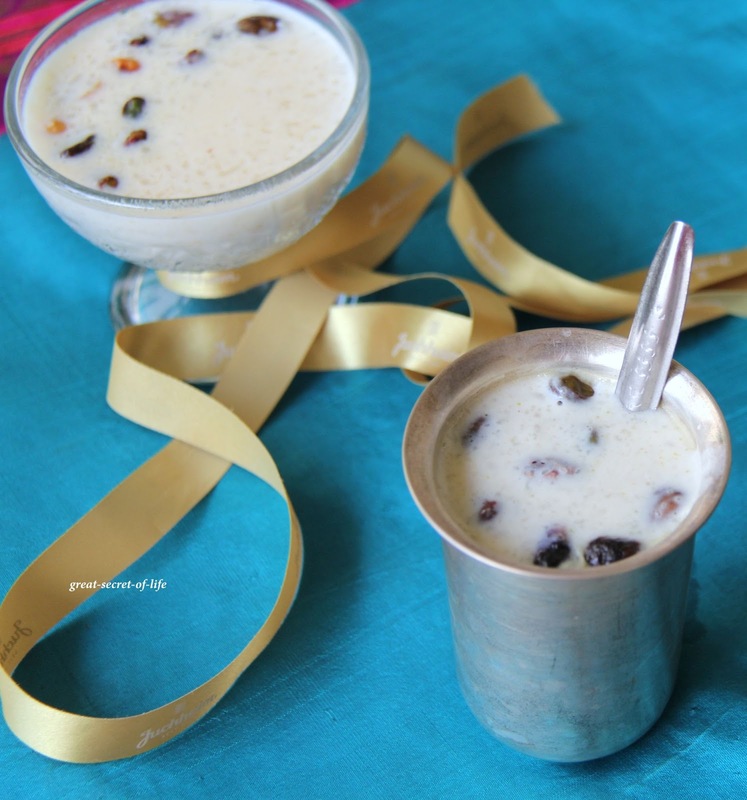 payasam looks delicious. 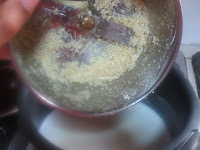 frying the rice is new to me.I usually add it raw..
Payasam looks absolutely delicious.got to try these! yummy payasam very tempting for me right now nice veena. 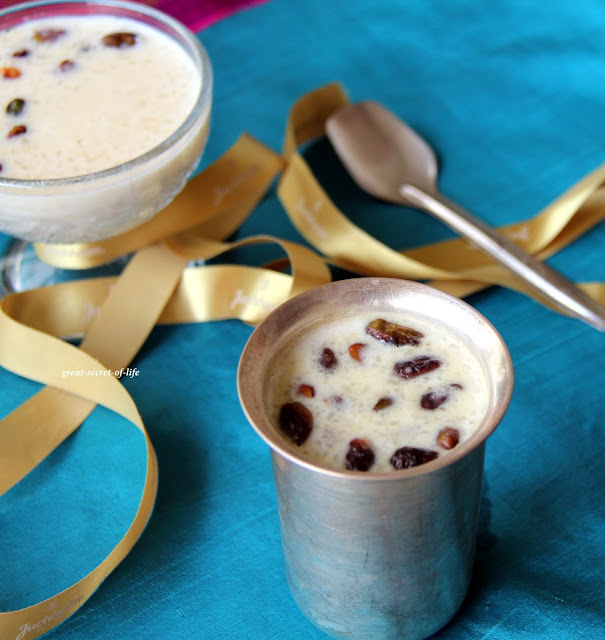 this is my fav..i am drooling here. 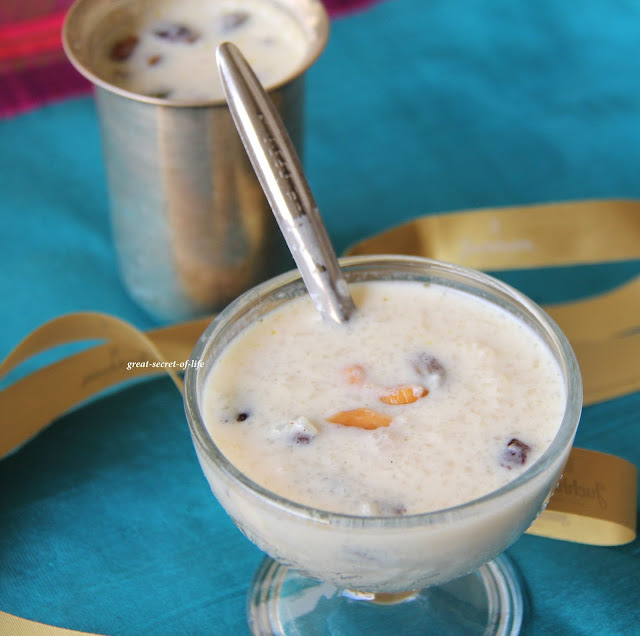 i always like this payasam.. very traditional..